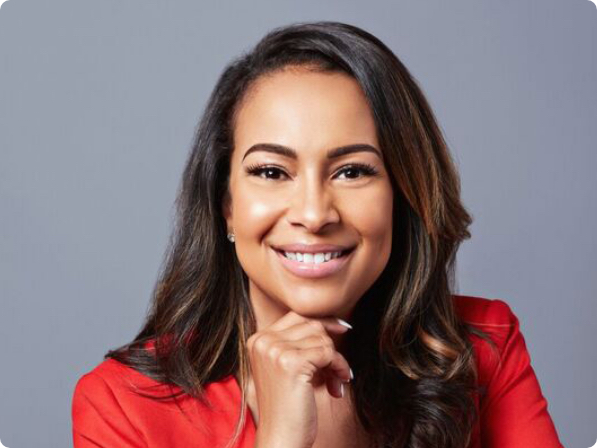 "Valeisha Butterfield Jones is the Global Head of Women and Black Community Engagement for Google and the Co-founder and CEO of the Women in Entertainment Empowerment Network (WEEN). In 2018, Valeisha was named a Global Ambassador for TUMI travel and Eileen Fisher, reaching audiences across the globe to further bolster multicultural engagement for the successful brands. An award-winning activist, author and executive, Valeisha formerly served as the National Youth Vote Director for President Obama’s 2012 reelection campaign, in the Obama Administration as the Deputy Director of Public Affairs for the International Trade Administration, as the Executive Director of Rush Communications and as the National Director of Diversity and Inclusion for the Alzheimer’s Association. Valeisha has been recognized by Forbes Magazine, Elle Magazine’s Top 10 Women to Watch, Essence Magazine’s Top 40 under 40, Harper's Bazaar, Ebony Magazine’s Power 100 (2x), TheRoot100 (2x), Glamour Magazine and others. Valeisha is a wife, mom, host of the podcast Off the Record with Valeisha and the author of the highly-acclaimed book The Girlprint, a career mentorship guide for young women."